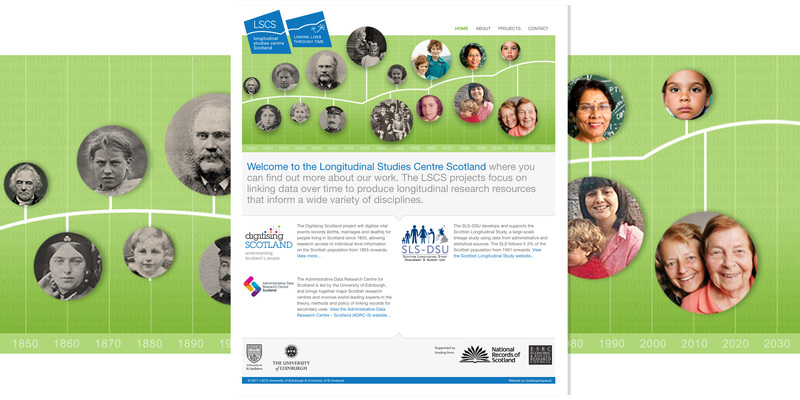 The Longitudinal Studies Centre Scotland website is a small portal site outlining Scotland’s academic longitudinal study projects that focus on linking data over time. The time line graphic features Scottish people dating back to 1850. The style and quality of the images provides an interesting visual of imaging technology as well as our changing relationship with the camera. From stiff portraits to relaxed smiles – what we see is a reminder of change and serves as a metaphor for longitudinal study.